U.S. stock futures pointed to a higher open, with battered tech stocks set to claw back some of their sharp losses, as investors geared up for the Thanksgiving holiday. 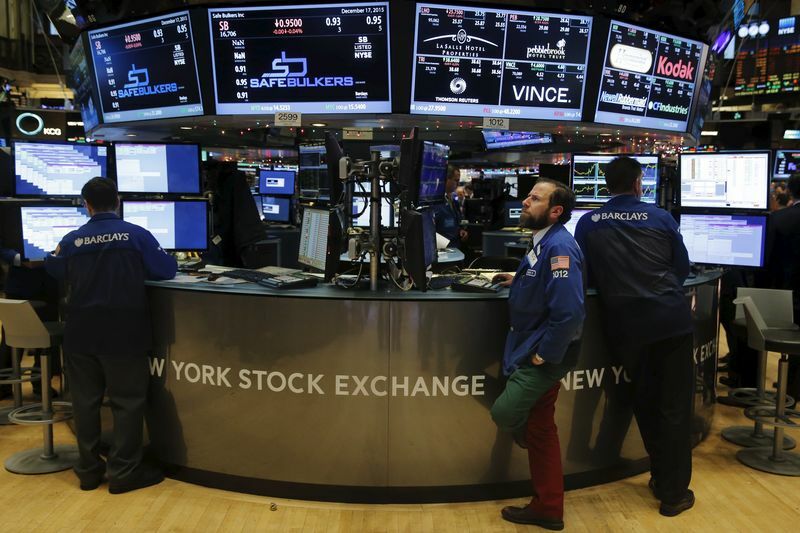 Trade was expected to be traditionally thin with Wall Street closed on Thursday. Friday will be a half-session day. At 5:30AM ET (1030GMT), the tech-heavy were up by 48 points, or around 0.75%, the blue-chip pointed to a gain of 95 points, or about 0.4%, while the indicated an increase of 12 points, or around 0.5%. U.S. stocks for the second day in a row on Tuesday, with the dropping 550 points and turning negative for the year, as investors fretted over earnings and dumped shares of some of the most popular tech companies. Elsewhere, European stocks , as Italian banks rebounded on hopes Rome could compromise with Brussels over its budget plans. The was up by about 0.5% in mid-morning trade, on course to snap a five-day losing streak. Earlier, Asia markets were mixed, amid ongoing concerns about global economic growth. ended down about 0.3%, while China's closed 0.2% higher. Deere (NYSE:) is one of the last notable names slated to report third-quarter results before U.S. markets open, as the earnings season continues to wind down. The farm equipment maker is expected to post a profit of on sales of about $8.61 billion, according to estimates. The company’s results will also give investors a glimpse of how much the trade war with China is affecting the U.S. agriculture sector, especially soybeans, where China is a huge market. Other notable companies reporting their latest quarterly results today include Baozun (NASDAQ:), Qudian (NYSE:), and Cheetah Mobile (NYSE:). In commodities, oil prices by nearly 2% to claw back some of the previous day's steep decline, lifted by a report of an unexpected decline in U.S. commercial crude inventories. After markets closed Tuesday, the American Petroleum Institute said that U.S. crude supplies fell unexpectedly by 1.5 million barrels last week. If confirmed by the U.S. Energy Information Administration later in the day, it would be the first weekly drop in domestic crude supplies in ten weeks. The EIA's is due at 10:30AM ET (1530GMT). U.S. futures were up $1.02, or roughly 1.9%, at $54.45 a barrel. It tumbled 6.6% on Tuesday to settle at a more than one-year low of $53.43. International futures rose $1.02, or 1.6%, to $63.55 per barrel, following a plunge of more than 6% a day earlier. Elsewhere, surged 5% to $4.752 per million British thermal units, as traders looked ahead to weekly due out at 12:00PM ET (1700GMT). It comes out one day ahead of its normal release time due to the Thanksgiving holiday. On the data front, the Commerce Department at 8:30AM ET (1330GMT) is expected to report durable goods orders fell in October. Core orders, which exclude volatile transportation items, are forecast to rise . Focus will also likely be on October out at 10AM ET (1500GMT). Recent data has painted a worrying picture of the U.S. housing market, which is struggling with rising mortgage rates and tight inventory. Wednesday's economic calendar also features data on initial jobless claims, which comes out one day ahead of its normal release time due to the Thanksgiving holiday, and revised Michigan consumer sentiment for November. The , which measures the greenback’s strength against a basket of six major currencies, was a shade lower at 96.65. In the bond market, U.S. Treasury prices edged lower, pushing yields higher across the curve, with the benchmark rising to 3.08%. The Organization for Economic Cooperation and Development forecast that global growth would slow from 3.7% this year to in 2019 and 2020, as trade tensions and higher interest rates take their toll. The global growth slowdown would be worst in non-OECD countries, with many emerging-market economies likely to see capital outflows as the Federal Reserve gradually raised interest rates.